7 a.m. to 1 a.m.
“Brunch puts you in a good temper, it makes you satisfied with yourself and your fellow beings. It sweeps away the worries and cobwebs of the week.” These were the words of writer Guy Beringer who in 1895 first used the portmanteau of breakfast and lunch in an article introducing the meal as a staple for Sundays. It “promotes human happiness,” he said, especially on the morning after a Saturday night out (yes, brunch was created to deal with hangovers). For the past four years, Refinery has been offering distinct takes on staple brunches. 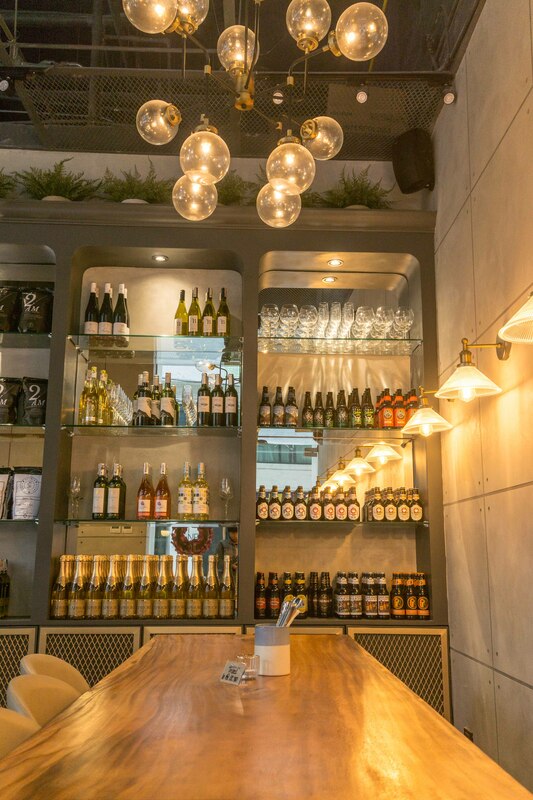 Their eggs Benedict, for example, are either served with jamon serrano or smoked salmon. One of their appetizers is a sausage platter composed of three varieties of sausages. Even their signature Hangover Pasta lives up to the roots of brunch with its savory smoked bacon fat and sunny side up topping. 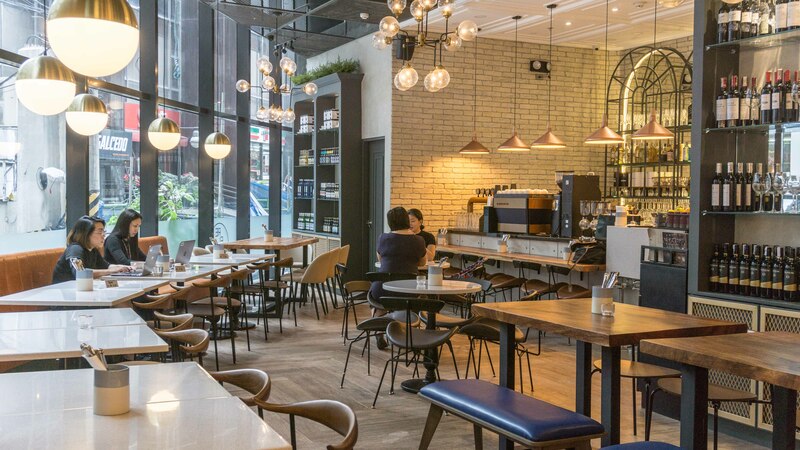 In a bid of catering a larger crowd, the restaurant established their third branch in Salcedo, Makati and launched along are seven additions to their all-day breakfast menu. 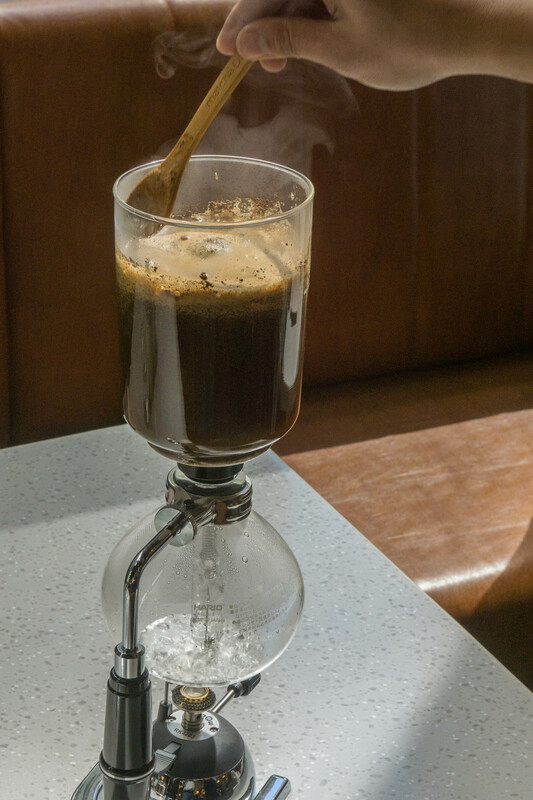 The menu, according to Refinery’s Berniece Tenchavez, “complements what [they] are most known for,” including their siphon coffee and unlimited wine promos. Among the first dishes we tried in the menu are these toasted baguette slices with honey dip, which is honestly a good match for wine. 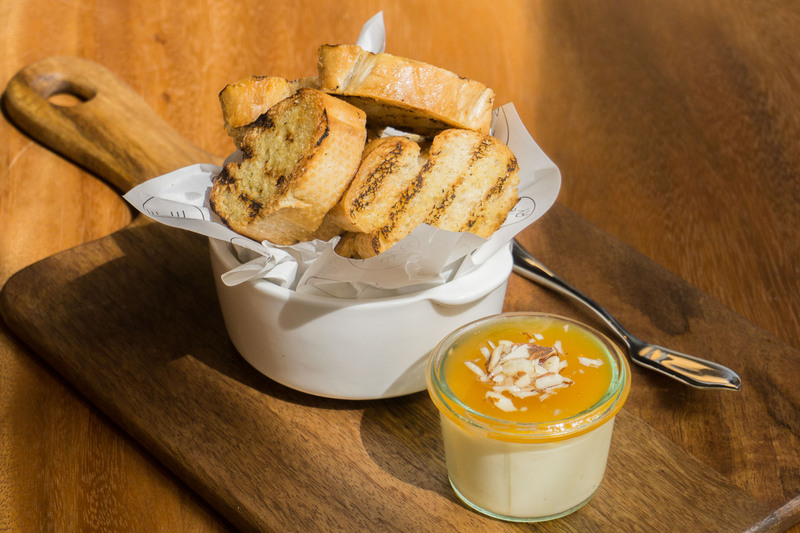 The dip is a mixture of goat’s cheese and truffle topped with roasted almonds, giving the light and crispy baguettes a contrasting sweet and tangy element that ends with an earthy flavor. The chefs also played around with their signature dishes like these new takes on the eggs Benedict and grilled slab of bacon. 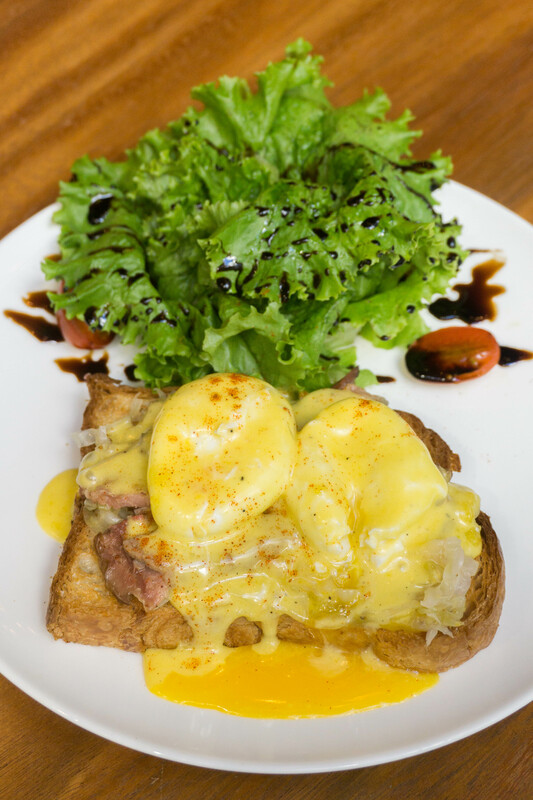 The poached eggs can now be paired with beef short plate pastrami, croissant load, and homemade sauerkraut with hollandaise sauce poured over. I haven’t tasted the signature Refinery eggs Benedict dishes to compare, but this dish has already set a competitive standard. I can say the same for their bacon dish called The Morning After. For someone who’s not a big fan of bacon, this grilled take got me chewing. It’s unlike the usually thin and crispy bacon (which, although tasty, is sometimes too salty for me). 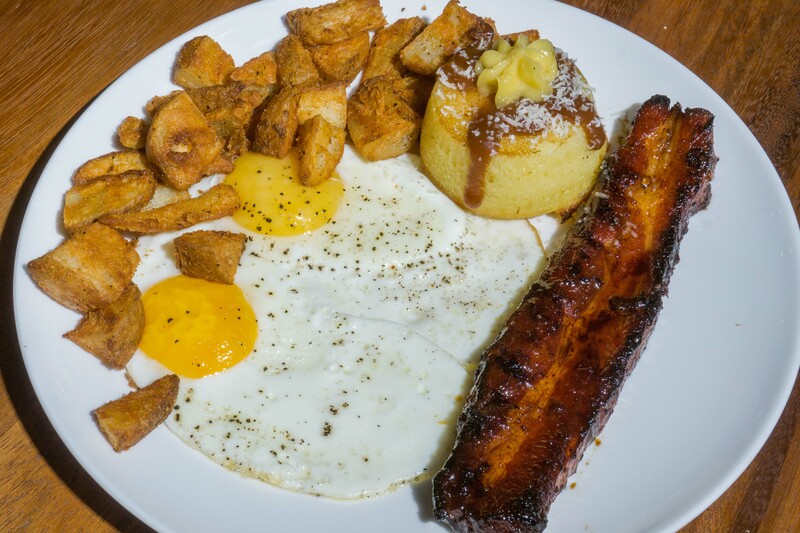 This slab of bacon is thick and savory that it’s no question why a dish this full is named like that: The Morning After is exactly what your taste buds needs after waking up late in the morning after a long night. And that’s not the only star of the dish. Two sunny side up eggs are at the center while a salted egg bibingka pancake soufflé topped with caramel syrup, parmesan, and whipped butter are at the side. Accompanying the soufflé are breakfast potatoes which gives the dish a sweet and salty finish. But brunch food is not their only specialties. 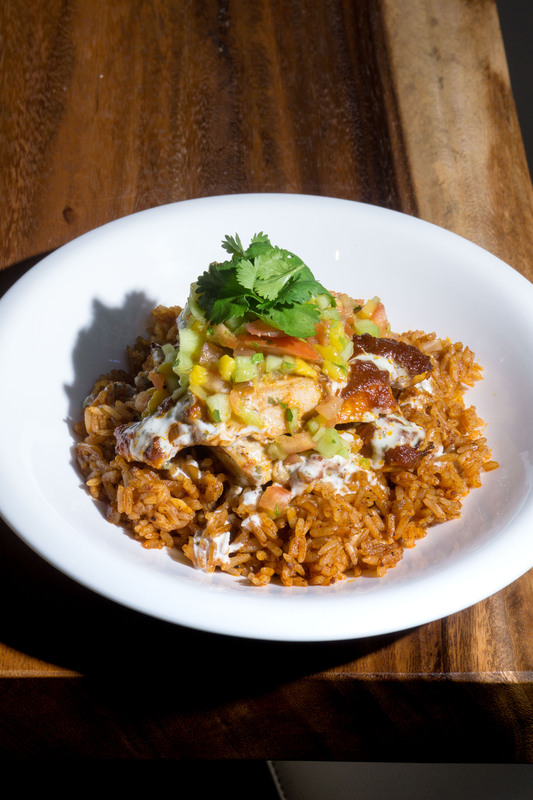 The dishes may be a crowd favorite, but there are also some who find solace in Refinery for heavy lunch and dinner meals. 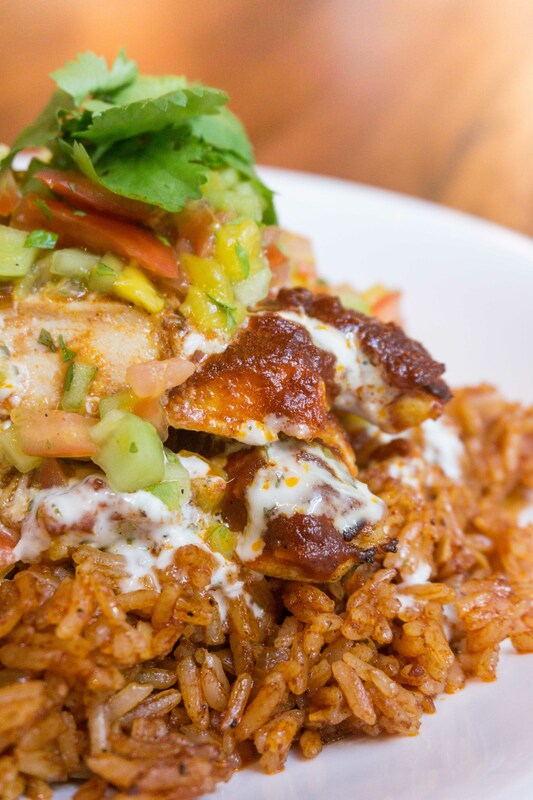 This is why they came up with dishes like the tender Mexican rice topped with grilled chicken and the creamy four-cheese lasagna bolognese with a side of baguette slices. 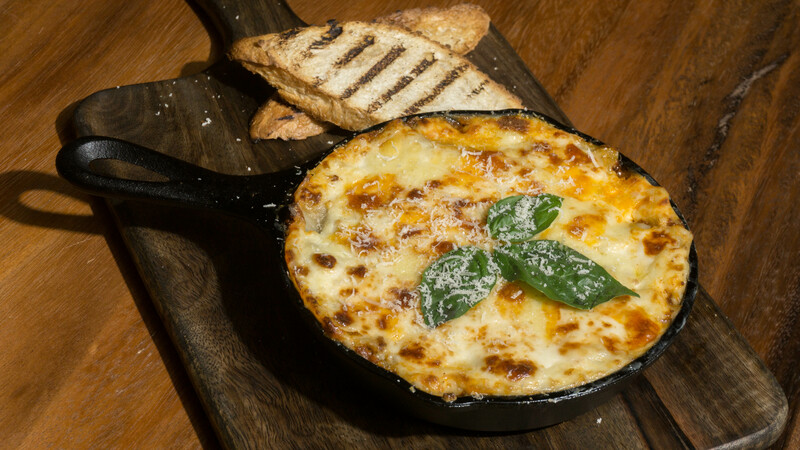 A great ending to a full brunch would be a long, long walk home after, as Beringer put it, satisfying yourself with food. 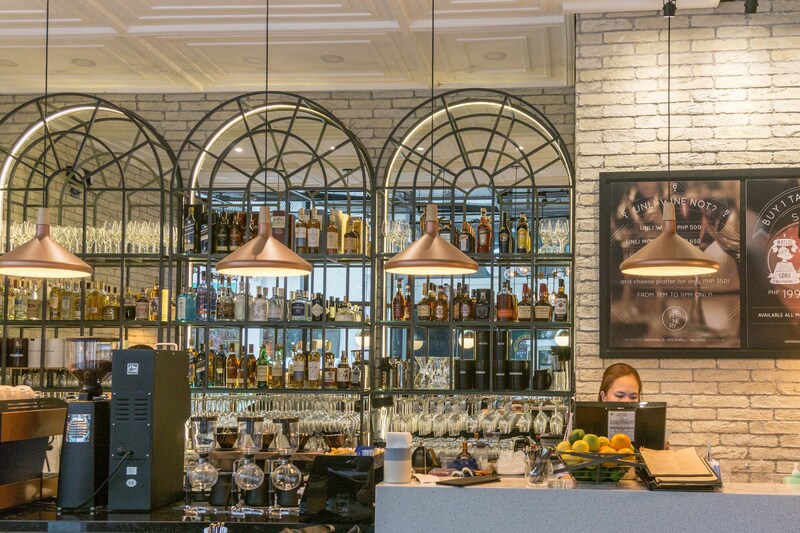 But for Refinery, brunch means a full meal and a full meal you’ll get. 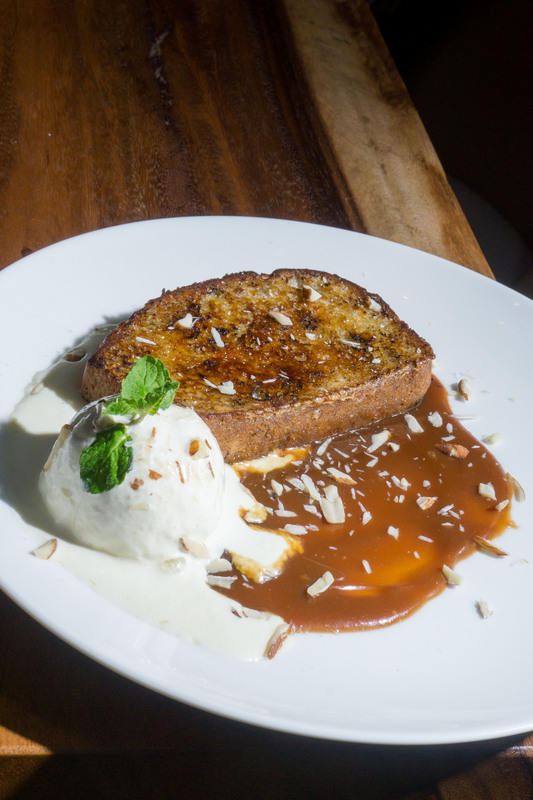 As if their menu is not sweet and salty enough, they added an enticing banana bread pudding brûlée paired with salted caramel, crushed almonds, and vanilla ice cream. A brunch like this would really put us in good temper.